Ayurveda, a system of natural healing, has been around for thousands of years and uses more than 5,000 herbs. Some of these are well-known for resolving common health and skin-care problems we encounter in our day-to-day lives. However, just containing natural ingredients and herbs does not make a product Ayurvedic. Ayurveda is a science, which is very precise with specific principles and recommendations. And at TheAyurvedaExperience.com, you will find the authentic ayurvedic products made with precise ayurvedic recipe. The Ayurveda Experience has ensured that you get a range of premium and all natural Ayurvedic products that make practicing Ayurveda an authentic, effective and a fun experience for you. The iYURA Kesaradi Oil, Manjish Glow Elixir and Kansa Wand are the unique and popular ayurvedic products offered by The Ayurveda Experience. What is The Ayurveda Experience? TheAyurvedaExperience.com offers premium Ayurvedic products that can be customized based on your Dosha or Body Type, enabling the personalized Ayurvedic Experience. It is a community of over 400,000 people from US, UK, Australia, New Zealand (NZ), India and all over the world pursuing healthy living through Ayurvedic wisdom. It provides QA, testimonials, demonstration videos, content and customer Support for all its products to help you learn about Ayurveda and the benefits and applications of ayurvedic products. Continue reading our review to learn about benefits, ingredients and applications for iYURA products offered by The Ayurveda Experience. Click on any of the iYURA product below to read its detailed review. Facial oils have been an integral part of our mother’s and grandmother’s beauty regime for hundreds of years. However, the use of essential oils in the skincare ritual is getting a lot of attention in the modern world. The iYURA Kesaradi™ Oil, also called as 'beauty elixir', is one of these modern Ayurvedic oils that gained a lot of popularity in recent days. iYURA Kesaradi is designed to be gentle on the skin and has aromatic benefits. It's ancient Ayurvedic recipe goes beyond hundreds of years, and is based on Ayurveda’s classical formulation of the Kumkumadi Oil, which helps skin retain its radiance and youthful appearance. The Kesaradi oil is based on an unique blend of 16 powerful ayurvedic ingredients such as saffron, Sesame Oil, Turmeric, Mustard, Licorice, Rose, Lotus and many other herbs, which makes it a super-potent blend for a beautiful, radiant, and bright complexion. I have been using iYURA Kesaradi Oil over past few weeks and have already started noticing an improvement in brightness and radiance in my facial complexion. I applied just 3 drops of kesaradi oil twice a day - in the morning and at night before sleep. It feels pretty great on the skin and has a mild scent of rose oil. Not only does it smell great, it also cleared up few blemishes and moisturized my skin. Kesaradi oil worked well under makeup and it did not gave an greasy appearance to skin. The makeup products went smoothly over it. How to Apply Kesaradi Oil? Each Kesaradi Oil bottle comes with 1.69 ounces Or 50 ml of Oil. I estimate each bottle to last roughly 1.5 months if used twice a day. To apply Kesaradi Oil, you can gently massage Oil in upward circular motion onto the face and neck after cleansing and toning. If you are using Kansa Wand, then take 2-4 drops of Kesardi oil in your palm, gently tap it on your face and neck, and then gently massage your skin using Kansa Wand in circular and to-and-fro motion. Complete the massage on one side of the face before you move onto the other side. Note that this oil is for external use only. You will get even better results when used along with iYURA Manjish Glow Elixir as part of your daily skincare routine. So, what is in Kesaradi oil? What makes it so unique? 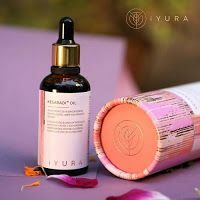 The iYURA Kesaradi Oil uses the powerful properties of premium herb saffron, an expensive glow-giving herb, that has been known to give a radiant and smooth skin, fight acne and blemishes, giving you a luminous complexion. This Oil improves the facial texture by moisturizing and brightening the dull skin. The Kesaradi oil not only contains Saffron, but also Rose oil, known for its beauty-enhancing and rejuvenating effects, turmeric, cow-milk and other powerful Ayurvedic herbs and flowers such as Manjishtha, Lodhra, Priyangu, Kamal, and Palashphool. Continue reading our Kesaradi Oil reviews to learn more about its ingredients and their benefits. Kesaradi Oil is an unique blend of three layers 'Red Gold', 'The Queen of Flowers', 'The Golden Spice' and 16 Ayurvedic ingredients based on the ancient formulation of Kumkumadi. 1. The 'Red Gold' term in this iYURA Oil comes from the spice called as Saffron, which contains vitamin B2, B3, B6 and is great for hair and skin. Saffron, as illustrated in multiple studies, is extracted from Crocus sativus flower and is known to contain more than 150 carotenoid compounds including lycopene, zeaxanthin, safranal, various α- and β-carotenes and a rich source of riboflavin. These key compounds are behind secret of Saffron's complexion enhancement and even-toning benefits (source). 2. The term 'The Queen of Flowers' in iYURA Kesaradi™ Oil comes from its ingredient Rose. During the making of this oil, rose is used in 2 ways: (1) as rose water while cooking the oil and (2) as rose essential oil added once the cooking procedure is completed. Rose offers calming, soothing, facial cleansing and anti-aging properties, making Kesaradi Oil an effective complexion enhancer. 3. 'The Golden Spice' term in Kesaradi Oil comes from turmeric, an one of the important spices in the healing Ayurveda ingredients. Turmeric has long been recognized for its medicinal properties, that provide even toned complexion to the skin. In addition to saffron, rose and turmeric, iYURA Kesaradi oil, brings you a blend of more than 19 ingredients with 16 Ayurvedic herbs, making it a great addition to your daily all-natural skincare regime. Just 3 drops of this Oil is all you need! This oil is applicable for all skin types and gives great results when used along with iYURA Kansa Wand. To get even better results, your daily skincare regime can include iYURA Day & Night Set, a combination of Kesaradi Oil (3 drops applied every morning) and Manjish Flow Elixir (4 drops applied every night). Where to buy Kesaradi Oil? The Kesaradi oil is exclusively sold at the theayurvedaexperience.com for $40 and is in stock. You can also get it for free when you buy Kansa Wand for $65. Currently you may not find it on Amazon or eBay. The iYURA Kesaradi Oil is a powerful blend of ayurvedic and all natural ingredients known to give a radiant and smooth skin, fight acne and blemishes, and provide you a luminous complexion. This Oil improves the facial texture by moisturizing and brightening the dull skin. You can achieve best results when you use iYURA Day and Night Set, i.e. iYURA Kesaradi Oil (night-time oil) and Manjish Glow Elixir (day-time oil), as part of your daily skincare routine. Kesaradi Oil is one of iYURA's most popular products receiving 4.9 star ratings from ‎495 real Kesaradi oil reviews on theayurvedaexperience.com. Checkout Kesaradi Oil before and after photos posted by many customers on their individual Ayurveda Experience reviews. As part of this Kesaradi oil review, we give 4.8/5 star rating to the iYURA Kesaradi Oil as well. Now let's learn about Manjish Glow Elixir, which perfectly complements iYURA Kesaradi Oil. The Manjishthadi oil, is known for giving a glowing complexion with attractive radiance of gold. Manjish Glow Elixir is developed using the ayurvedic formulation of Manjishthadi Oil recipe found in 'Chakradutt', an ancient Ayurvedic text. It is great as a nighttime face massage oil and the Ayurvedic text, recommends face massage done using Manjish oil for 7 nights or more to experience its benefits such as restoring glow and an balanced complexion. Continue reading our iYURA Manjish glow review to learn about its ingredients, benefits, how-to-use and alternatives. What are the ingredients of Manjish Glow Elixir? 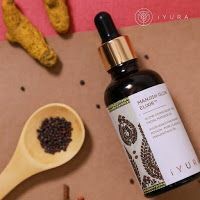 The iYURA Manjish Glow Elixir is an unique mixture of powerful ayurvedic ingredients, such as Sesame Oil, Manjistha, Citron, Butter tree, Licorice and several other herbs, which makes it a super-potent blend for a bright, radiant and even-toned complexion. Manjishtha, Indian Madder, is the key ingredient of this oil and its the reason that this elixir has its beautiful pink color. Manjistha is great for the skin and gives an even tone to the complexion and help reduce the appearance uneven spots, providing an even-toned complexion. In many countries, the Manjishthadi Oil is considered as a natural alternative to medicinal products. The Manjish Glow Elixir does not contain any artificial fragrance or added essential oils. Once applied, you may observe its natural herbaceous aroma, however it fades away in few minutes. What are the benefits of iYURA Manjish Glow Elixir? 1) Manjish elixir's key ingredient, Manjishtha, is great for the skin, as recommended by several Ayurvedic recipes. It helps detoxify your body, reducing the toxins that may cause congestion in the lymph and the blood tissues. It also improves skin conditions such as acne and dermatitis. actually specifically meant for patchy as well as dull and uneven looking skin tone and those who're not very keen to use heavy oils on the face. 2) Wild Lemon Root or Matulunga are similar to lemons but has a oval shape. In addition to its skin-care benefits, it acts as a pitta-pacifier giving you a balancing, soothing and cooling benefits. The citrus within the lemon root helps you clear clogged pores on skin. 3) Butter Tree Bark or Mahua Bark, extracted from an Indian tropical tree known as the Butter Tree or Honey Tree, keeps your skin from drying and helps slow down the appearance of aging and wrinkles, restoring the youthful skin. Overall, this pink-colored potion Manjish Glow Elixir gives you a deep and natural looking glow, anti-aging benefits, skin rejuvenation and a youthful appearance. You will get even better results when used along with iYURA Kesaradi Oil as part of your daily skincare routine. How to Apply iYURA Manjish Elixir? Manjish Elixir can be applied as part of your nighttime skin-care routine and applied as part of your face massage. Wash and clean your face using a gentle soap prior to applying iYURA Manjish Elixir. Take 3 drops of Manjish Elixir in your palm and gently apply and massage this elixir to your face, neck and neckline in upward circular motion . For extra dry skins, you can more drops to fit your moisturization need. As suggested in ancient Ayurvedic texts, a gentle massage using Manjish oil helps reducing appearance of wrinkles and dark spots giving you a clear and even toned look. If you are using Kansa Wand, then take 2-4 drops of Manjish Elixir in your palm, gently tap it on your face and neck, and then gently massage your skin in circular and to-and-fro motion. Complete the massage on one side of the face before you move onto the other side. Note that this Elixir is for external use only. To get best results, you can include iYURA Day & Night Set, a combination of Manjish Flow Elixir (4 drops applied every night) and IUYRA Kesaradi Oil (3 drops applied every morning), as part of your daily regime..
Where to buy iYURA Manjish Glow Elixir™? The Manjish Glow Elixir is exclusively sold at theayurvedaexperience.com for $40.50 after 10% discount and is instock. 10% Off Manjish glow elixir coupon code will be applied automatically at checkout. At this time, this oil is not available on Amazon or eBay. Overall, this pink-colored potion Manjish Glow Elixir can help you provide a natural looking glow, anti-aging benefits, and a youthful appearance. You can achieve best results using iYURA Day and Night Set, i.e. Manjish Glow Elixir (day-time oil) is used along with iYURA Kesaradi Oil (night-time oil) as part of your daily skincare routine. The Manjish Glow Elixir is one of iYURA's popular products receiving 4.9 star ratings based on ‎386 real customers reviews. See the Manjish glow before and after photos posted by its customers along with their Ayurveda Experience reviews. This oil also receives 4.9/5 star rating from us for its benefits and effectiveness. The Kansa Wand is an unique, exquisite & effective massage tool hand-crafted in India and works great in giving you a younger looking face, relieving from stress and pain, and rejuvenating your mind-body. Whether used as a part of a facial or a stand-alone experience, this wand is designed give you a natural, gentle face-tightening and revitalizing experience. Continue reading our review on Kansa Wand here to know more about its design, benefits, how-to-use and applications. Why iYURA? What differentiates iYURA from other Ayurveda brands? All iYURA products, while remaining authentic to the classical formulations, cater to the modern, western users, who do not want oil stains or pungent smell on their clothes or use oil that is too complex to apply. As most Ayurvedic products are made of herbs, oils and natural extracts, some of these Ayurvedic products may cause such inconveniences. iYURA makes sure that you are getting premium, authentic and effective Ayurvedic products, that does not get overwhelming for you. iYURA oils does not stain clothes and smells nice and mild. All iYURA products does not include any chemicals, harmful additives, binders etc and are not tested on animals. iYURA ensures that it meets your modern needs and introduces innovation to Ayurvedic products without compromising on the authenticity of the formulation or the ancient recipe behind the product. Currently the The Ayurveda Experience offers their 3 popular Ayurvedic oils as complementary when you purchase a Kansa Wand. Plus, you can get up to 40% off discount on the bundles. No coupon code is needed. If achieving your health and fitness is going to be your resolution, The Ayurveda Experience gives you a perfect opportunity to add more motivation and substance to your preparation for the same. 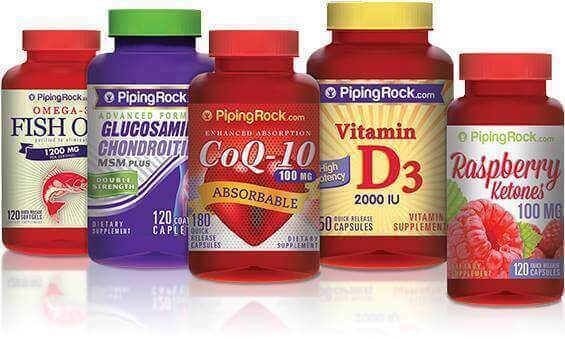 Shop some of their most results-oriented, life-enriching, much-acclaimed products with confidence and take a step forward towards your health and fitness goal. *The views expressed in this The Ayurveda Experience review are author's own and are provided for informational purposes only. Nothing on this site shall be considered as providing medical, dermatological, or other such health related advice and you are always advised to seek the advice of a medical professional should you have any such concerns.